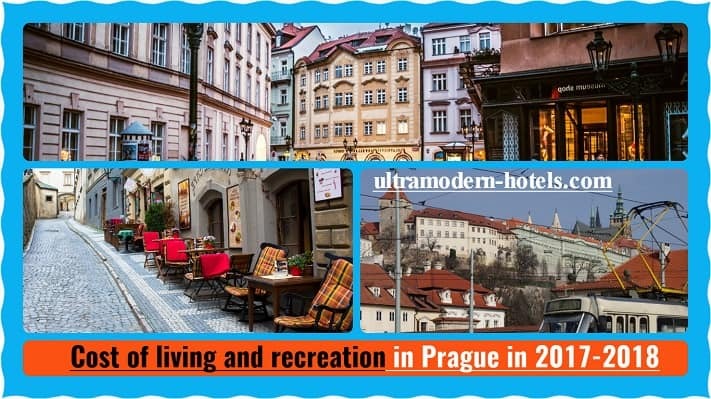 Prague – a real paradise for lovers of cultural recreation. Medieval and ancient architecture is found at every step. Here you need to stay for a few days (preferably 7 days) to explore all the popular attractions. 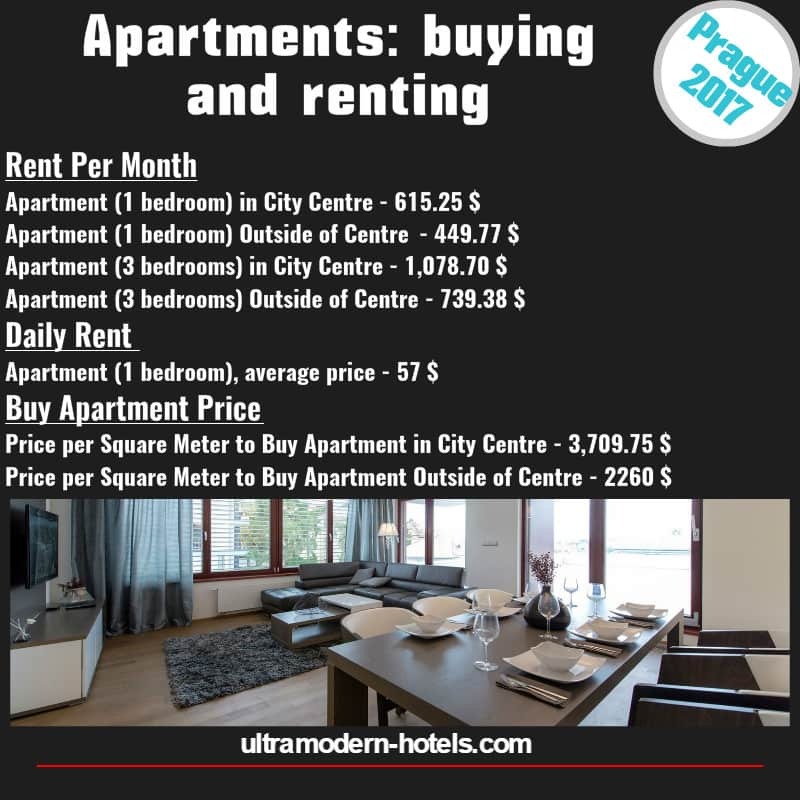 We will tell about the cost of living and recreation in Prague in 2017. 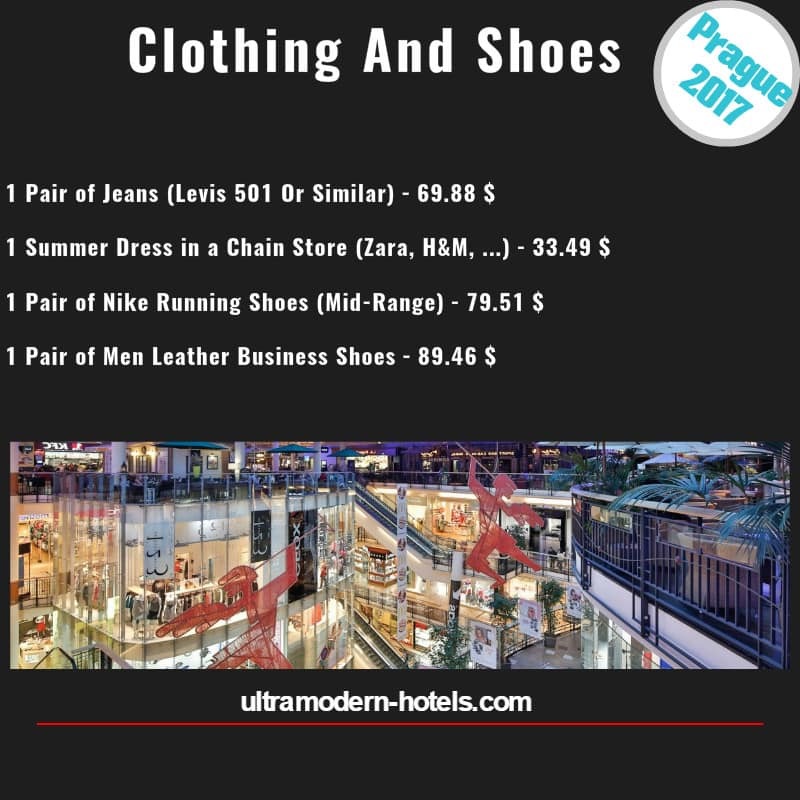 Consider the main costs for tourists: excursions, food, transportation, real estate rental, restaurants and cafes. № 1. 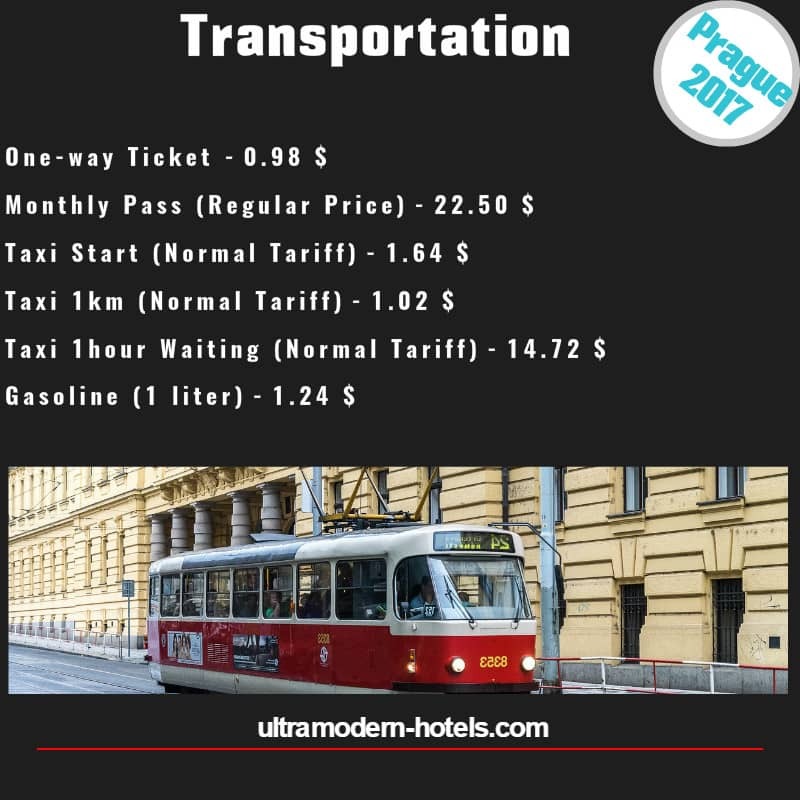 Daily expenses for 1 tourist in Prague 2017. How much money does the tourist need for 7, 10 and 14 days? 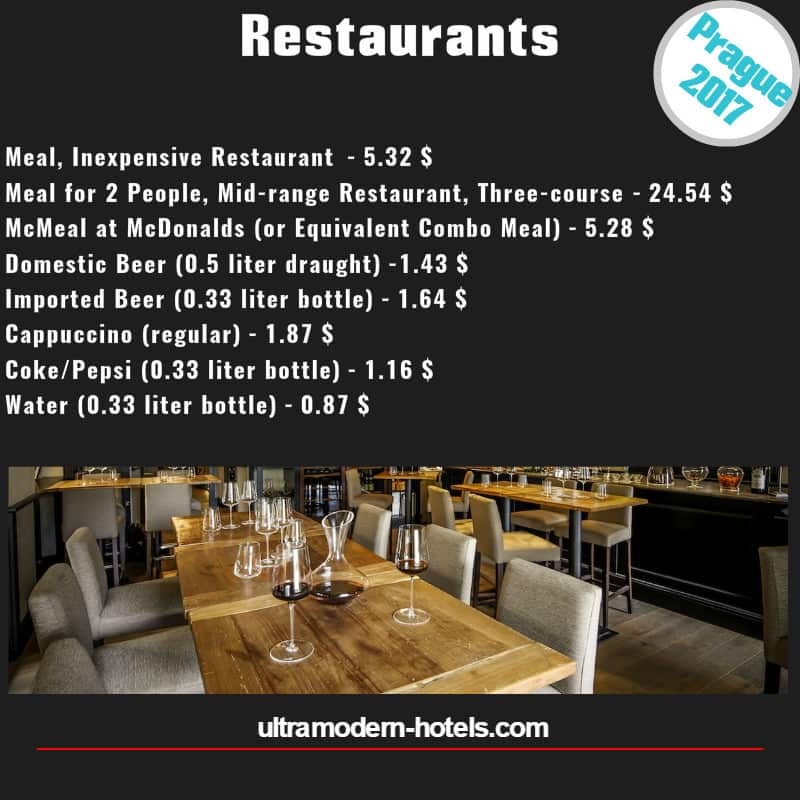 Meals in the cafe (breakfast, lunch and dinner) – 15,96 $. Expenses for public transport (2 tickets) – 2 $. 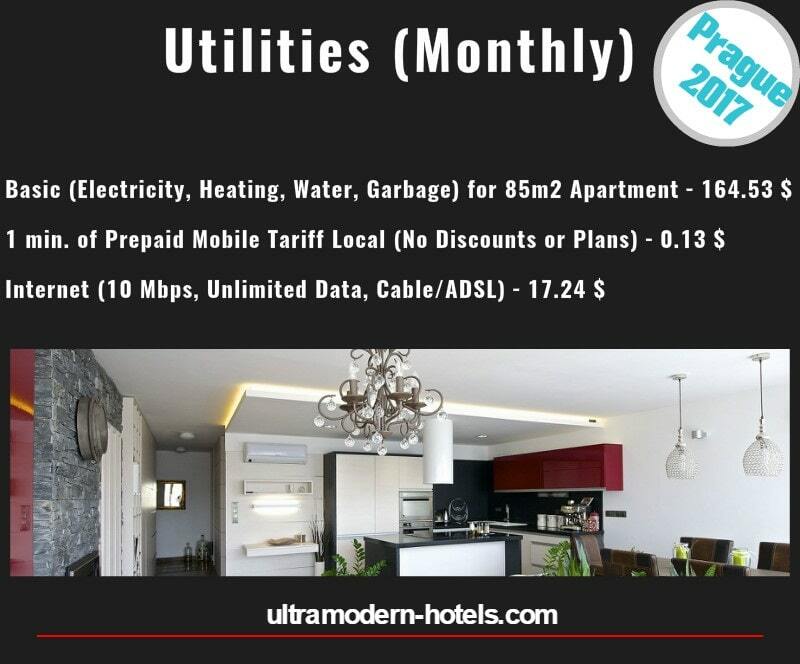 Approximate (Average) price for 1 night for 2 guests – $ 50-69. For 10 days – 679 $. Taxi, public transport, the cost of gasoline. The cost of dinner, lunch and breakfast, including drinks (beer, coffee, soda). Average bill for 1 and 2 tourists. 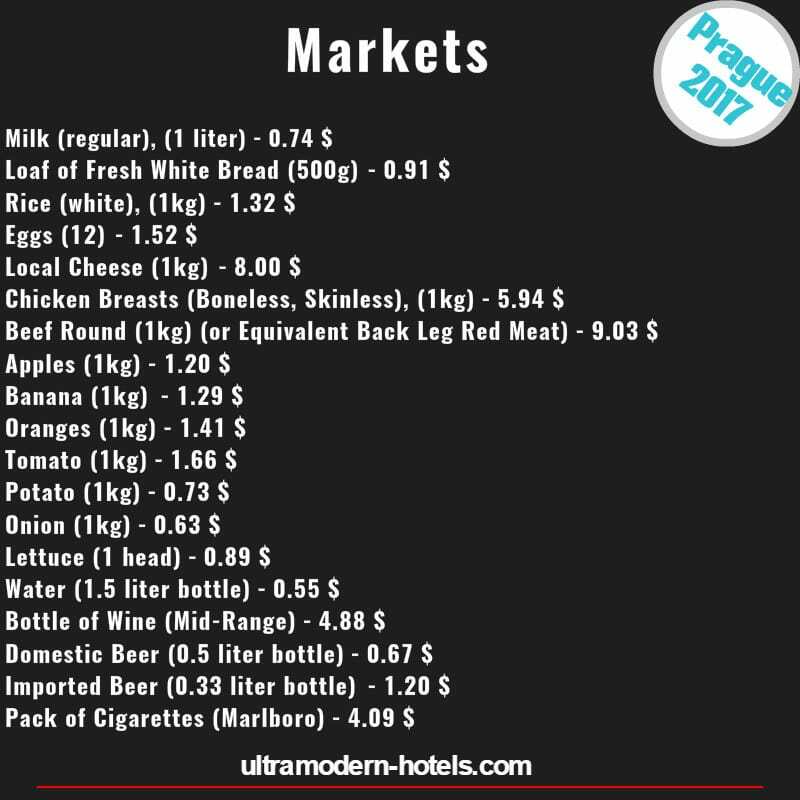 Prices for popular food products: bread, pork, chicken, cigarettes, beer, wine, vegetables, fruit, cheese, eggs, etc.